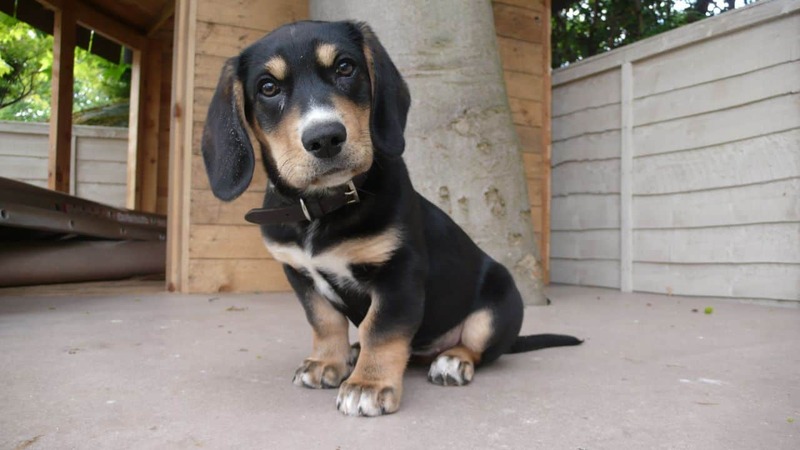 The hybrid dog obtained by mixing the Labrador Retriever and the Basset Hound goes by the name Bassador. These are extremely adorable dogs, living up to twelve years on average and qualifying as a breed of hunting and sports. 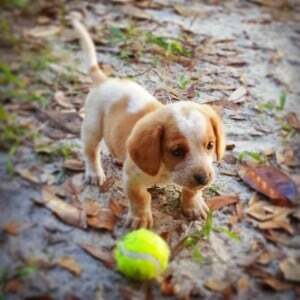 Their main talents are agility, hunting, watchdog and obedience. Bassadors’ name is sometimes spelled with just one ‘s’. The Bassadors, similar to a lot of other hybrids, are relatively new as breeds so they do not have an extensive history. In some cases the first time when a hybrid was created is not even known or why was that particular hybrid created. 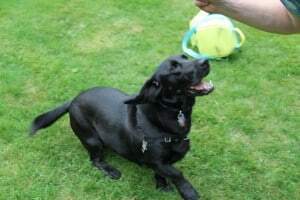 It is common for the dogs resulted from mixing two breeds to bear a name composed of both parents’ names, such as the Bassadors (resulted by combining Basset with Labrador). The main aim when mixing two breeds is to bring together the best traits of the two parents, but this cannot be guaranteed so far. Sometimes there are significant variances in personality and appearance even for puppies born from the same parents. However, it is very important to know the background and characteristics of both the Labrador and the Basset Hound. The roots of the Basset Hound are found in France and it occurred as a mutation of the St. Hubert breed, which led to a smaller version of the dog. The original purpose of breeding this dog was hunting, being used to track rabbits and hares. The first time when this dog is mentioned was in 1585, in a book and it was associated more with the nobles of those times in France. It is assumed that this breed only got to American later on, in the late nineteenth century and it was only in 1916 that the American Kennel Club recognized it as a breed. Since then, this breed became more and more popular, also getting along very well with other pets and children. They are very calm, but in the outdoors any scent they may catch draws their attention and will probably start a hunt or a chase to see where the scent leads. They may not be easiest to train of all dogs, proving to be stubborn at times and they also like to be in the presence of humans always, if possible. Labrador Retrievers are tracked back to Canada, in Newfoundland. There they were used by fishermen in the eighteenth century to help them retrieve fish. They also were very appreciated as working and companion dogs. They managed to get to England later on, where they served the nobility for hunting purposes. In the late eighteenth century, the Retrievers almost reached extinction in Canada due to the laws, but this breed managed to survive precisely because it was very popular in England. It was early twentieth century when they got to America and have been used in a very wide range of activities such as drug detection, helping persons with disabilities, explosive material detection, search and rescue and all sorts of therapies. These dogs are adorable, very people oriented and having a desire to please them, which also facilitates the training process. They get along pretty well with children and other pets and they require appropriate training in order keep fit physically and mentally. From the personality point of view, the Bassador can inherit more from either the Labrador or the Basset Hound. Devotion towards the family, friendliness, independence and stubbornness are a few of the Bassador’s characteristics. Having a well balanced temperament makes this dog a great family dog. Bassadors love to play, enjoy mental and physical activities and can be labeled as sociable. These hybrids are large sized dogs, which can reach up to 32 kilos in weight and usually no more than 50 centimeters in height. They have a compact build and are rather short. The front legs resemble those of a Basset Hound’s and the ears are floppy. The tail is pretty long and has its end has tapers, also being slightly curvy. The Bassador coats are dense, short and smooth, with occasional wavy patterns. The most common colors are yellow, brown, black, white and chocolate. When it comes to energy resources, the Bassadors are quite generous and therefore they require a consistent amount of regular exercises in order to burn it. However, it is also true that if the Basset genetic component is dominant, they may require a moderate level of physical activities. It is recommended for these dogs to be taken out for daily walks and allow them to have some playtime, be it in a park or in the backyard. The hound background of these hybrids makes it a requirement to keep them on leash when out in the open and the backyards to be fenced accordingly. They can adapt to living in apartments, but they require a few daily sessions of outdoor activities. The Bassadors are relatively easy to train, especially if they inherit more from the Labrador parent’s side, due to their intelligence. If the Basset Hound is dominant, they may prove to be a bit stubborn, which can hinder the training process. There are, nevertheless, ways to facilitate training, one of them being the food rewards, as they love these quite a lot. A trainer must be perceived as a pack leader and also needs to invest firmness, consistency and patience along the way. They respond best to positive reinforcements and methods, as harsh methods or raised voice tones can make them less responsive. Training is always best when combined with socialization from the early ages. As these hybrids are the shedder types, they will require brushing on a daily basis in order to remove the dead hairs and maintain a healthy, good-looking coat. They also possess a rather strong odor, so bathing may turn out to be a good idea. Exclusive use of special dog shampoo is recommended. As there are cases when the Bassadors have a lot of wrinkles on their faces, this will require cleaning and drying with regularity, sometimes even on a daily basis. It is also important to brush their teeth with special dog toothpaste a few times per week. Nails require clipping and trimming and a lot of people prefer to turn to professionals for these activities, as they may be a bit complicated and, if not done properly, may lead to injuries and pain for the dogs. There are good reasons to expect Bassadors to get along well with other pets and children. Some people even prefer to get another dog to be their companions when they have to leave the house so they don’t fell left alone. Given the hound genes, Bassadors may be tempted to hunt other pets, unless they are properly trained and socialized. It is recommended that Bassadors are fed with up to three cups of high quality food per day, split in two meals. The food is best to be dry. As these hybrids are prone to obesity, it is important not to be overfed. The obesity leads further to other health conditions, such as back problems or hip dysplasia. Bassadors normally drool a lot, especially after eating or drinking, so a cloth may come in handy. Bassadors love the company of people and will not do well if kept isolated or outside. Being shorter, it is important to teach children how to play with them and not to sit on their backs for example. They may bark or howl, due to their hound genetic component. They do best in moderate climates and don’t easily adapt to extreme temperatures. 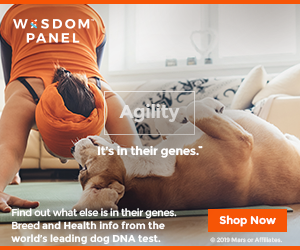 It is often said that hybrid dogs are healthier than the parents. While this can sometimes be true, there are also cases in which they can inherit health concerns from both parents. In the case of the Bassadors, they are mostly prone to back problems due to their shorter and longer bodies. There are also other concerns, such as eye problems, allergies, joint and hip dysplasia, obesity, bloat and infections of the ear. In order to have the best chances for the dog to be healthy, it is important to turn to a breeder with a good reputation, who can prove the medical background of the puppy and the parents. 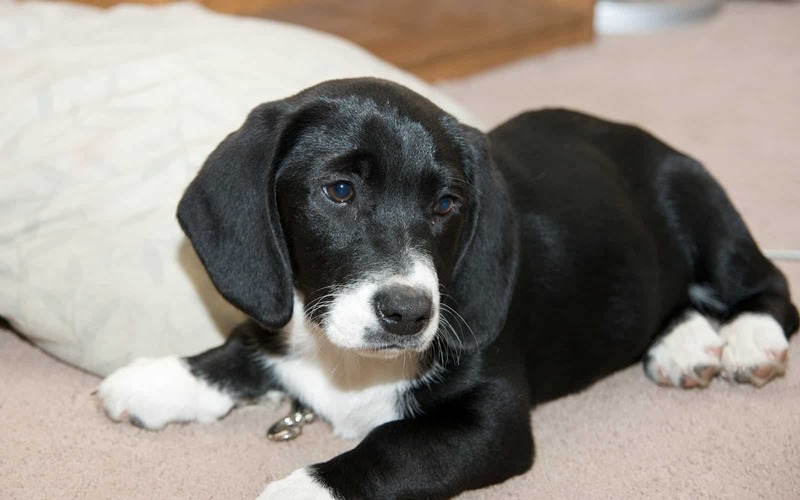 In this way, one can estimate what health problems are likely to occur later on, when the puppy becomes an adult and can address some issues in a timely manner. The first costs of owning a Bassador occur once the puppy is bought and the price may vary depending on several factors, but most often it is situated between 300 and 800 USD. The reputation of the breeder, the location and the health status of a puppy are the most important elements that influence the initial price. Right after the purchase, there are other costs involved, such as the ones with microchip implant, de-worming and/or neutering. Along with the accessories required for these dogs (such as leash, collar and crate), these costs can go up to about 600 USD. There will also be periodical medical checks, vaccines, insurance and licenses, which will total about 1,000 USD. On the overall, the Bassadors are great choices for a family pet, but require, in exchange, a certain level of attention, affection and involvement so that they can be happy and healthy. They will, in turn, repay the owners with affection, friendship and loyalty and will be, at the same time, an excellent partner for walking and playing.